The Miami Herald and the South Florida Sun Sentinel featured articles in recent weeks about communities that are implementing community-wide smoking bans, including inside of the private dwellings of the residents. The Florida Clean Indoor Air Act already prohibits smoking inside of public buildings, which is interpreted to include the indoor common areas of condominium developments, but there are no laws regulating smokers’ rights to smoke inside of their units or in their private balconies, porches and yards. As smoking rates continue to decline due to the adverse health problems associated with smoking and secondhand smoke, the question of whether community associations can impose community-wide smoking bans, including inside of owners’ residences, is becoming a very hot topic with associations across the country. The associations and boards that take up this issue and seek to implement such a ban may face significant challenges. New developments, such as the AquaVita Las Olas condominium which was featured in the Sun Sentinel article and will open later this year in Fort Lauderdale, are instituting smoking bans in their original declaration of covenants and condominium documents, so buyers are aware of the restrictions prior to their purchase. However, for existing communities which seek to institute such a ban on their current and future owners, their ability to amend their declaration of covenants with these new restrictions may ultimately be challenged, and the enforcement of such a ban may present serious difficulties. Existing communities wishing to implement the bans by a new amendment to their governing documents would be wise to consider several measures to make the new restrictions more practical and enforceable. Chief among these would be to create a “grandfather exception” to allow existing owners who are smokers to continue to smoke inside of their residences but to ban any new owners from doing so after the amendment has been ratified. 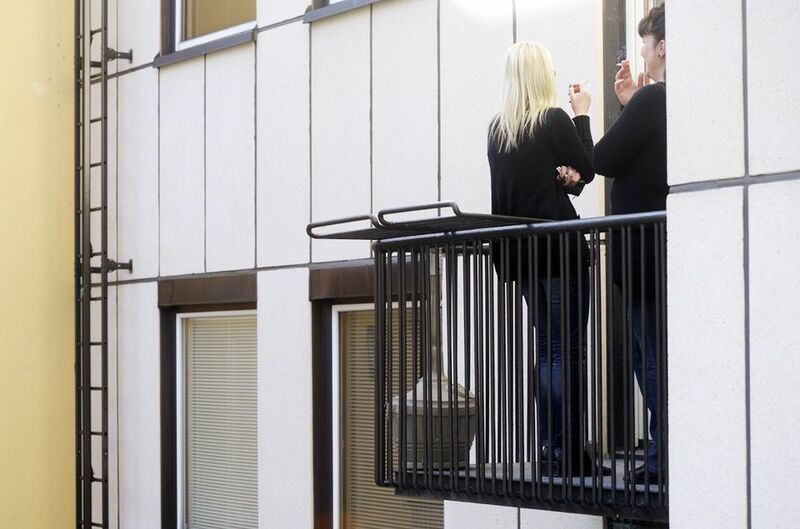 Another suggestion would be to allow owners and their guests to smoke in the private balconies of condominium residences but to ban smoking inside of the units, as the complaints about secondhand smoke typically come from neighboring residents who indicate that the smoke and odor seeps through air vents and walls from adjoining units. In addition, the enforcement of the new smoking restrictions will become difficult if not impossible, as association boards and property managers will be unable to determine whether violations are taking place if they are denied access to the residences of owners who are suspected of smoking. Given these considerations, condominium associations and HOAs that are adamant about implementing these smoking bans should consult with their attorneys and work with their owners, including both the proponents of the new bans as well as the smokers who wish to maintain the status quo. By using grandfather exceptions, allowing smoking in the balconies and only seeking bans for the residences of new owners who are informed of the smoking restrictions prior to their purchases, these restrictions may stand a better chance of becoming viable solutions for communities wishing to ban smoking within their properties as widely as possible.